Iarnród Éireann has advised customers of service arrangements should the threatened industrial action go ahead on Friday. All Intercity, DART and Commuter services scheduled to depart between 06.00hrs and 09.00hrs are cancelled. There will be some consequent disruption after 09.00hrs. Irish Rail also said that services may be subject to change at short notice. There may also be altered capacity on certain services. Rail tickets will not be valid on services of other public transport providers. or they can submit their ticket and receive a full refund. Earlier today, the Government intervened in a desperate bid to avert Friday's planned strike action by the country's train drivers, independent.ie has learned. With less than 48 hours until Irish Rail workers down tools, the country's top troubleshooter has been asked to broker a deal, according to political sources. Kieran Mulvey, who led efforts to resolve the Garth Brooks fiasco, will invite unions into crucial talks at the Workplace Relations Commission (WRC). But sources have expressed deep scepticism over the prospect of the strike being called off. Workers are scheduled to down tools from between 6-9am in a move that will discommode 40,000 passengers, school children and commuters. A similiar strike took placed a fortnight agoand caused chaos during rush hour. Central to the concerns ahead of today's talks, according to political sources, is the strained relations between union leaders and Irish Rail Chief Exeucutive David Franks. Mr Franks, who earns a salary of €211,000, has been criticised after he sent a letter to workers this week warning that their demands are "unaffordable". He accused the National Bus and Railway Union (NBRU) and SIPTU of creating “false expectations” following the decision to seek a reduced working week and changes to productivity. Last night, both unions claimed that a significant number of their members have handed back the letters, while many others refused to read the contents. Asked about workers' reaction to Mr Franks's letter, NBRU General Secretary Dermot O'Leary said workers are "very angry". And SIPTU organiser Paul Cullen wrote to Mr Franks last night, describing the letter as ""most unhelpful". "It is a clear attempt to alienate negotiators and this trade union from its members." Speaking last night, Irish Rail spokesman Barry Kenny claimed that the "vast majority" of workers accepted Mr Franks's letter. "But as is always the case with such communication, there is a small number who do not, particularly when we are in an industrial dispute situation. But there was certainly nothing remarkable or surprising," he added. Unlike during the negotiations leading up to previous strike action, all parties appear to have conceded that the work stoppages will go ahead despite the negotiations at the Workplace Relations Commission (WRC). 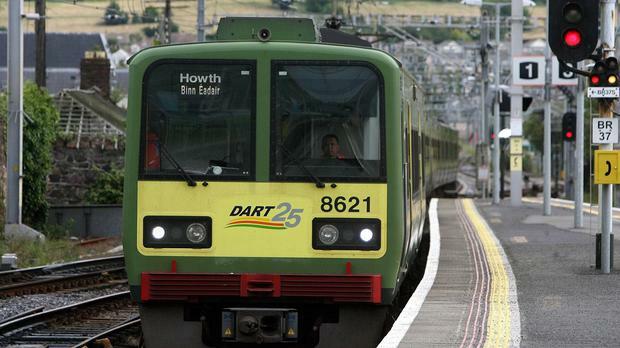 Irish Rail says it's proposals will see an increase in earnings of up to 7.9pc. There will also be an opportunity for drivers to avail of a voluntary severance package. But unions have rejected the proposals. Last night, a spokeswoman for Transport Minister Paschal Donohoe said that the deal proposed by Irish Rail is "reasonable", adding that the minister hopes the strike will be averted. "The company is still losing in excess of €1m a month and that the industrial relations machinery of the State is best placed to resolve these issues.